A new paper has been published which examines the role of small-scale vegetation structure in preserving tephra layers. This paper follows on from fieldwork conducted by the authors in Iceland in June 2015. 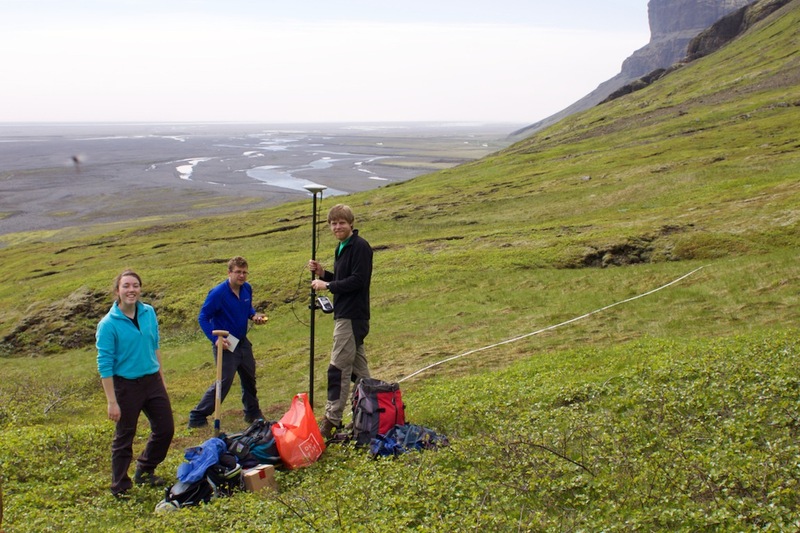 The photo above shows one of the field sites from the paper (Fossdalur, in south Iceland) with (from left to right) Olivia Shears (University of Cambridge), Nick Cutler (University of Cambridge) and Richard Streeter (University of St Andrews) .